Dr. Byeong-yong Yoo is a senior research engineer at DSME where he is the technical leader of the Marine LNG Process R&D team. 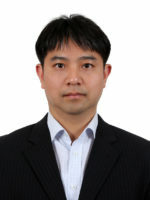 Byeong-yong holds a Ph.D in naval architecture and ocean engineering from the Seoul National University. He was a faculty of mechanical engineering at the Korean Naval Academy from 2001 to 2004. He joined DSME in 2005 and his main areas of interest are LNG fuel gas supply systems, LNG cargo handling systems, and CO2 shipping for CCS purposes.